Staying on top of trends is a key to serving consumer markets. Companies that can identify trends and react are at a natural advantage. With so many potential sources for information, it can be daunting to keep an eye on the things that matter. 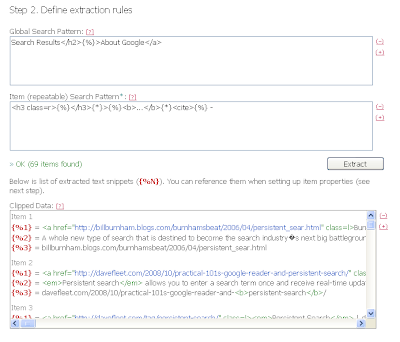 Use a combination of Google and Firefox to make it easier. To start, get Firefox. Then get the excellent SEO for Firefox addon installed and set up the way you like it. 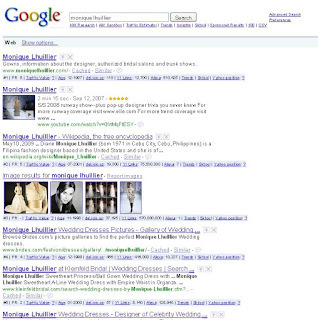 The plugin adds useful information and links to search engine results pages like Google’s. Once that is ready to go, head to http://www.google.com/insights/search. There, you can get information on the topics you’re interested in. If you’re looking to sell products in the U.S., you can filter the query to only apply to product searches in your geographic area. Submit your query and you’ll get a bunch of useful tidbits. The information we’re interested in is “rising searches,” located in toward the end of the right hand column. 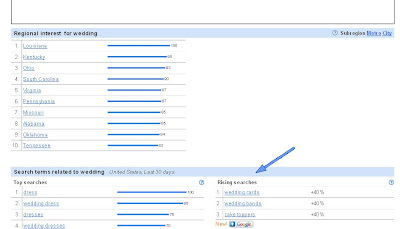 The rising searches section shows the queries that have recently become more popular. They aren’t the most popular over all, they’ve just been moving up lately. 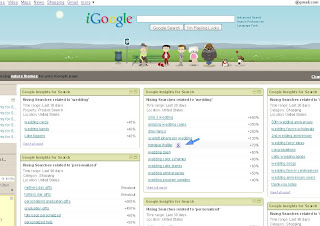 If the results look like the kind of thing you’re interested in, click on the icon below to add it to your iGoogle homepage. Adding the Insights for Search gadget effectively creates a persistent search query for any term that rising up the charts. 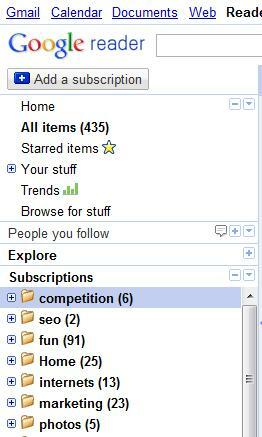 You can fill one of your tabs with a bunch of variations on your search and create a trends dashboard. Google also makes it easy to jump off of the gadget to learn more about the emerging trend. 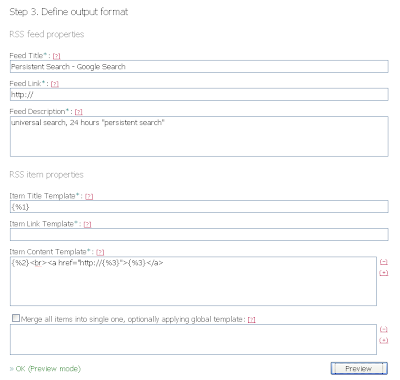 Mouse over a term, then click the g icon to go to a SERP. From there, SEO for Firefox takes over. Instead of the regular results page, you’ll get a truck load of enhanced features that are great for research. You can see the sites that are already ranking for that term, along with their estimated traffic and number of backlinks. If the sites look weak, you could consider creating content to compete with the sites and capitalize on the emerging topic at hand. Underneath the query box, you’ll also see other research tools. You can quickly see how much it would cost to compete with PPC ads for the term and about how often the term is searched each month. All of these tools are already available, but the Google/Firefox combo makes the task easy enough to keep an eye on things each day.